YPKGM55P-S-17 - Yukon Standard Open Spider Gear Kit For 55 To 64 Gm Chevy 55p With 17 Spline Axles Yukon Gear & Axle. Spider gear kit. Includes two side gears, two pinion gears, cross pin shaft, cross pin bolt and spider gear thrust washers. Spider Gear Set; Positraction Internals For GM CI Corvette With 17 Spline Axle;. Step up to the quality of Yukon Gear & Axle. Yukon uses higher quality materials and better techniques than OEM to ensure a longer lasting spider gear set. 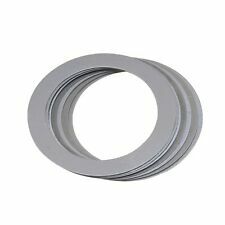 Carrier Shim Kit. Yukon shim kits are precision machined and tailored for each individual application to ensure you have the right shims for every set up. Step up to the quality of Yukon Gear & Axle. Yukon Master Overhaul kits give you all the high quality parts you need to start and finish every differential job. Yukon Master Overhaul kits are the most comprehensive and complete kits on the market. Authorized Yukon Gear Dealer. Fast & Free Shipping! SKU: FDHCYK GM55CHEVY. Yukon Master Overhaul kits give you all the high quality parts you need to start and finish every differential job. This kit uses Timken bearings and races along with high quality seals and small parts. Yukon Gear & Axle (YCGGM55P) Dropout Gasket for Chevy Car/Truck Differential NEW. Designed for Specific Differential Applications. 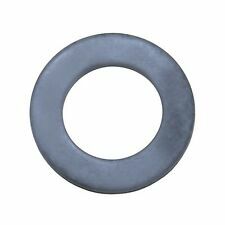 Manufacturer Part NumberYCGGM55P. Item model numberYCGGM55P. It will give you a good idea, but you need to make sure this kit is a match. Fits standard rotation Dana Spicer 44 HD. Dana 44HD, '99-'08 Grand Cherokee. Dana 44HD, Corvette & Viper. Dana 44HD, SRT8. SKU: FDHCSK 702005. Carrier Shim Kit. Yukon shim kits are precision machined and tailored for each individual application to ensure you have the right shims for every set up. Step up to the quality of Yukon Gear & Axle. Axle Type: Dana Spicer 44. Manufacturer Part Number: YG D44-411T. Pinion Spline Count: 19. Gear Ratio: 4.11. It will give you a good idea, but you need to make sure this kit is a match. Fits Dana Spicer 36. 26 spline pinion. Does not include bearings races or any install parts. 10 ring gear bolts. Can be found in these vehicles . 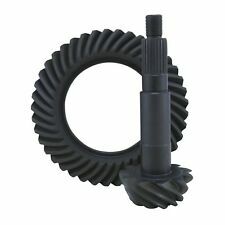 Ring And Pinion Gear Set; 3.90 Ratio; C5/C6 Corvette;. Step up to the quality of Yukon Gear & Axle. Ring And Pinion Gear Set. Ring and Pinion Kit. Axle Type: GM 8.25 in. Gear Ratio: 3.9. Strong And Easy To Set Up. Pinion Spline Count: 17. Axle Type: GM 8.2. Gear Ratio: 4.11. Position: Rear. Spider Gear Set; 8.2 in. 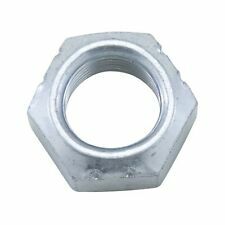 10 Bolt; 17 Spline;.